In a further press briefing yesterday, Malaysian Defence Minister Hishammuddin Hussein, who is also acting transport minister, confirmed that two satellite communication systems on the plane had stopped transmitting at different times—indicating that they had been switched off, rather than had malfunctioned or been destroyed. 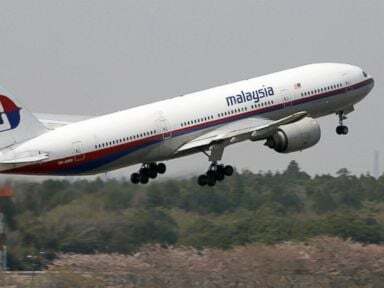 MH370 took off from Kuala Lumpur at 12.40 a.m. on Saturday March 8 and headed north with 12 crew and 227 passengers on board. At 1.07 a.m., the plane’s Aircraft Communication Addressing and Reporting System (ACARS) ceased its routine transmissions via satellite of maintenance data. At 1.21 a.m., the transponder used by civilian air traffic controllers to track aircraft stopped functioning. Around the same time, the last verbal message from the cockpit—“All right, good night”—indicated everything was normal as the plane left Malaysian and entered Vietnamese air space. While it was invisible to civilian air traffic controllers, Malaysian military radar tracked the plane after it turned sharply west, crossed over the Malaysian Peninsula, and was last detected in the Andaman Sea, north of the Malacca Strait, at 2.15 a.m. The Malaysian military say that they only picked up the unidentified object after the event by reviewing their radar recordings. Further evidence that the plane flew on was provided by the British satellite communications provider, Inmarsat. Even though the ACARS system was off, satellite data showed that it was still functioning as confirmed by a “handshake” or exchange of signals with the satellite. The last “handshake” took place at 8.10 a.m.—that is, seven and a half hours after the plane took off. The “handshakes” provide no precise information about the aircraft’s location, but do allow an estimation of the distance from the satellite. As Prime Minister Najib explained, investigators have identified two broad arcs where MH370 was last detected—one stretching north crossing 11 countries from Thailand to the Central Asian republics of Kazakhstan and Turkmenistan, and the other ranging south from Indonesia into the southern Indian Ocean. Malaysian authorities are now seeking the assistance of 25 countries to review their satellite and radar data in a desperate attempt to try to narrow down the search for either a crashed, or less likely, a landed plane. MH370 was prepared for a six-hour flight to Beijing, and after seven and a half hours, would have been running out of fuel. The northern arc is through heavily militarised air space, making the likelihood of detection high. The southern arc is into remote areas of the Indian Ocean not covered by radar and where a crashed plane would be difficult to find. More than a week after MH370 disappeared, the questions surrounding its fate are only multiplying. Why did it take more than a week for Malaysian authorities to announce that the aircraft had apparently switched course, when military radar had already detected what was likely to be MH370 over the Andaman Sea? On Sunday March 9, the day after the plane went missing, the Thai navy announced that it had begun to search that area, after being asked to do so by Malaysia. Many of the relatives of the passengers, anxiously awaiting news, have justifiably felt that they have been kept in the dark. It appears they are not the only ones. Last Thursday, as unnamed US officials told the media that MH370 flew on for hours, Malaysia’s defence minister, Hishammuddin Hussein, dismissed the possibility. A day later, after a US briefing, the Malaysian minister reversed his position. As part of the Obama administration’s “pivot to Asia,” the US is engaged in an intensive military build-up in the Indo-Pacific region directed against China and has highly sophisticated surveillance and intelligence systems to closely monitor and track aircraft. Such military systems are highly sensitive, however, and providing data on MH370 could also reveal American military capacities. There may be other explanations. It still has not been ruled out that a major mechanical failure caused decompression inside the aircraft and rendered the pilots unconscious, even though the flight continued. But the focus of the investigation has shifted to the crew and passengers, which have been closely scrutinised by Malaysian and US authorities. The two pilots appear to be the only ones on the flight with skills to fly the plane. Malaysian police have searched their homes. According to numerous press reports, nothing has been unearthed linking anyone on the flight to terrorist organisations, or providing another motive for commandeering the plane. Yet last Tuesday, the director of the US Central Intelligence Agency, John Brennan, told a gathering at the Council on Foreign Relations that there had been “some claims of responsibility” over the missing aircraft, but they had “not been confirmed or corroborated.” Asked if he would rule out a terrorist link, Brennan said: “No, I wouldn’t rule it out.” He then reiterated what has become the standard line that it was too early to reach conclusions. Obvious questions remain: what were these “claims of responsibility”; what else is known in Washington about the fate of MH370; and why the sudden scruples about jumping to conclusions? Who exactly was on the flight to Beijing?